There are several Newspapers which feature Island and Lowcountry news. Click on the newspaper of your choice and see what the latest news is on Hilton Head Island and the surrounding areas of the Lowcountry and the Coastal Empire. William Elliott, a Beaufort attorney, founded The Beaufort Gazette in 1897. The first edition was a four-page, eight-column broadsheet. The Gazette became a five-day-a-week afternoon newspaper April 30, 1973. The 1990s was a time of big changes for the Gazette. McClatchy Newspapers purchased the Gazette in 1990. Labor Day weekend of that year, the Gazette became a morning newspaper and by 1995 it had become a seven-day-a-week newspaper. The Bluffton City Sun was founded as The City Sun, a newsletter for Sun City in 1998. In 2002, the paper retained the name while undergoing the transformation to a full service monthly community newspaper whose circulation and coverage was expanded to reach all the households and businesses throughout greater Bluffton. Last year the newspaper was renamed The Bluffton City Sun to better reflect the focus and increased distribution to the entire 22,000 plus households and businesses throughout greater Bluffton and Okatie. That distribution is via the United States Postal Service, which guarantees the newspaper is delivered to the homes of the residents and to the businesses. 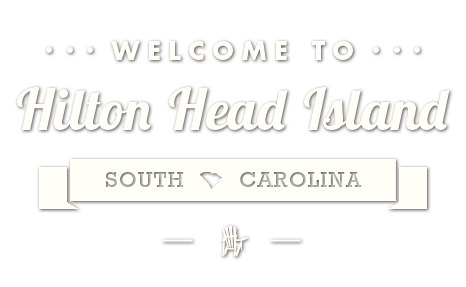 In 1970, two enterprising men, real estate developer Tom Wamsley and former newspaperman and retired Foreign Service officer Ralph Hilton, decided Hilton Head Island needed a newspaper. But they lacked the money. Soon after, Hilton was having lunch at a local restaurant and ran into Lucy and Jonathan Daniels. Daniels was editor emeritus of the Raleigh News & Observer, which his family owned. Lucy agreed to front the money for the new newspaper ($5,000) and Jonathan agreed to write a weekly column. The first edition rolled off the press on July 9, 1970. It was tabloid-size, 20 pages, and came out on Thursday afternoons to the island with only 3,000 residents. The paper sold for 15 cents a copy at selected locations on the island; its subscriber list was based on a membership list borrowed from the Hilton Head Island Women’s Association. The Packet gradually grew from a weekly tabloid into a daily broadsheet newspaper.